GYMNASTI’S GIJO – GIRLS PROGRAM! 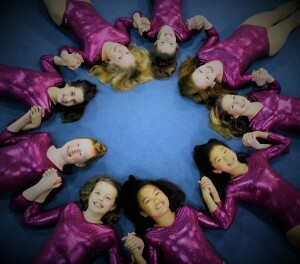 JOIN OUR SUCCESSFUL GIJO GIRLS PROGRAM AT GYMNASTI! 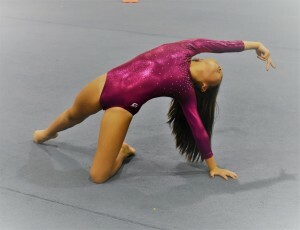 This is a competitive level of gymnastics at GymNasti! This is a AAU sponsored program that offers your child a way to compete in gymnastics with a little less time with a more flexible competitive option than our USA GYMNASTICS teams. Many have found this program to be the perfect fit for their family. This is a great option to prepare for High School gymnastics. You must have certain skills to join this program. Please call us today for more information about an evaluation to join us! Girls joining this class must have experience in gymnastics. This class is the next level beyond advanced beginner girls in our program. This is a non- competitive level of gymnastics that teaches all the skills to be ready to compete in our GIJO girls program. All gymnasts entering this level must have a cartwheel, roundoff, and a flip flop (at least with a spot) some beam experience, along with a pull over and basic skills on bars. This is a perfect opportunity for girls interested in gymnastics to increase their time to a more advanced level of gymnastics. Please call to be evaluated for this level.